* pharmacogenetics and modulation by disease. 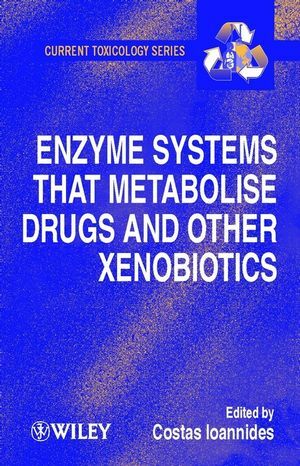 Enzyme Systems that Metabolise Drugs and Other Xenobiotics will be essential reading for industrial research scientists working in the fine chemicals and pharmaceutical industries, especially those concerned with the safety evaluation of chemicals, and investigating their metabolism, pharmacokinetic characteristics and toxicological properties. The nature and scope of the book will also make it attractive to the research toxicologist and to postgraduate students studying toxicology, as well as to clinicians and pharmacists. Costas Ioannides is the author of Enzyme Systems that Metabolise Drugs and Other Xenobiotics, published by Wiley.